"Sampath Speaking" - the thoughts of an Insurer from Thiruvallikkeni: the man associated with lexicon ! Doodle on 308th birthday !! : நிகண்டு என்றால் என்ன ? the man associated with lexicon ! Doodle on 308th birthday !! : நிகண்டு என்றால் என்ன ? நிகண்டு என்றால் என்ன என தெரியுமா ?.. .. .. Peugeot 308 Allure is a model of car – otherwise could not find any significance to 308; Google has put this interesting doodle on 308 year birth centenary of a person !! The Birmingham Journal was the first newspaper known to have been published in Birmingham, England. Little is known of it as few records remain, but a single copy survives in the Library of Birmingham probably published on 14 November 1732 ~ by this man, the subject matter of today’s Google doodle. He was born this day in 1709 in Lichfield, Staffordshire. His mother was 40 when she gave birth, considered an unusually late pregnancy, so precautions were taken, and a "man-midwife" and surgeon of "great reputation" was brought in to assist. The infant reportedly did not cry, and there were concerns for the baby's health. Sometime later, he contracted scrofula, known at the time as the "King's Evil" because it was thought royalty could cure it. He did receive royal touch from Queen Anne, but the ritual was ineffective, and an operation was performed that left him with permanent scars across his face and body. His career may not be colourful, he did face oddities and difficulties, but his works did bring fame to him. Published on 15 April 1755 ‘ A Dictionary of the English Language’ , sometimes published as Johnson's Dictionary, is among the most influential dictionaries in the history of the English language. His work was not the first but perhaps the best at the time, coming as it did when there was dissatisfaction with the dictionaries of the period, so in June 1746 a group of London booksellers contracted Johnson to write a dictionary for the sum of 1,500 guineas (£1,575), equivalent to about £220,000 in 2017 ! Johnson took seven years to complete the work, although he had claimed he could finish it in three. Remarkably, he did so single-handedly, with only clerical assistance to copy out the illustrative quotations that he had marked in books. 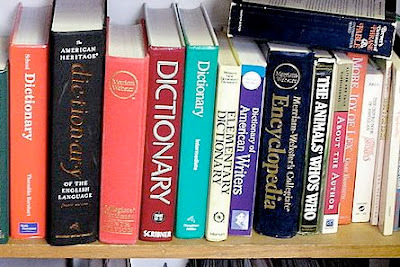 Johnson produced several revised editions during his life.Until the completion of the Oxford English Dictionary 173 years later, Johnson's was viewed as the pre-eminent English dictionary. His life was not all that successful perhaps, in 1756 Mar, Johnson was arrested for an outstanding debt of £5 18s. Johnson had several health problems, including childhood tuberculous scrofula resulting in deep facial scarring, deafness in one ear and blindness in one eye, gout, testicular cancer, and a stroke in his final year that left him unable to speak; his autopsy indicated that he had pulmonary fibrosis along with cardiac failure probably due to hypertension, a condition then unknown. Johnson displayed signs consistent with several diagnoses, including depression and Tourette syndrome (TS). To overcome these feelings, Johnson tried to constantly involve himself with various activities, but this did not seem to help. Boswell claimed that Johnson "felt himself overwhelmed with an horrible melancholia, with perpetual irritation, fretfulness, and impatience; and with a dejection, gloom, and despair, which made existence misery". Despite the impact of the best work of his time, fortune often eluded Johnson, and he struggled with women and alcohol. The work once finished was as much of a work of art as one of reference, full of witty definitions. It was hardly comprehensive: the first edition contained just 42,773 entries, compared to more than 250,000 words in the English language.Contrary to one particular Blackadder sketch, the dictionary does, in fact, contain the word "sausage".While Johnson is best known for his dictionary, he had an accomplished career even without it. He was a poet and spent years creating a collection of the works of Shakespeare.His life also made him the subject of the first modern biography, The Life of Samuel Johnson by James Boswell. Samuel Johnson (18 September 1709 [O.S. 7 September] – 13 December 1784), often referred to as Dr. Johnson, is the man the post and the doodle of the day is about. நிகண்டு என்பது சொற்களுக்கான பொருள்களைத் தருவதற்காக ஆக்கப்பட்ட நூல் வகையாகும். தமிழில் அகராதிகளுக்கு முன்னோடியாக இருந்தவை நிகண்டுகள். திவாகரநிகண்டு எனும் நிகண்டு நூல் கிபி 8ஆம் நூற்றாண்டில் வாழ்ந்த திவாகர முனிவர் என்பவரால் இயற்றப்பட்டது என கருதப்படுகிறது.